Good news nine-niners! 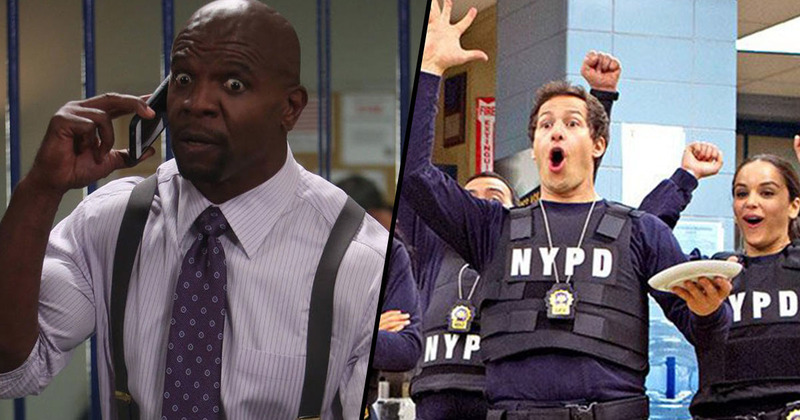 The next series of the ever popular Brooklyn Nine-Nine is premiering in just five days. The announcement was made by none other than Terry Crews, who got so excited, his chest did a little dance. The mathematicians among you will have already worked out that means the show is coming back to our screens on January 10. NBC confirmed the release date and a new time slot for the sitcom, meaning it’ll now air at 9pm – the slot currently occupied by the Will and Grace revival. Fans of the show were devastated earlier this year when Fox announced they were cancelling the show to make room for new programming. Eight months since it was cancelled however, and Terry, Jake, Amy, Rosa, Charles, and the gang, are back on our screens. 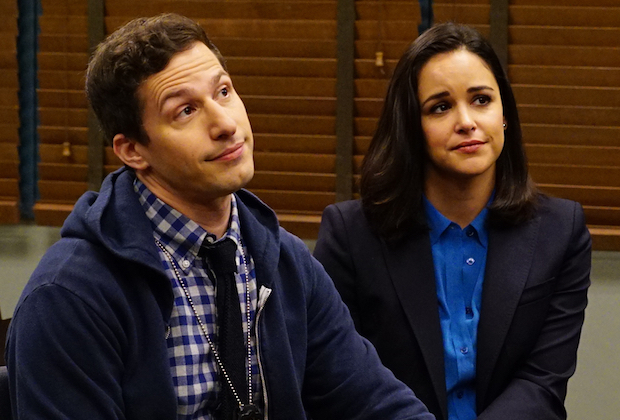 Unfortunately, not all of the Brooklyn Nine-Nine crew are back full-time. Chelsea Peretti – who plays Holt’s bizarre, morally ambiguous, assistant, Gina Linetti – will no longer appear as a series regular. Chelsea explained on Twitter how she wasn’t doing a full season of Brooklyn Nine-Nine but added ‘that doesn’t mean I won’t ever be back, winky face emoji, heart emoji’. She finished by thanking fans for the hours they’d spent watching ‘Gina be Gina’ describing the character as ‘confident, idiotic-but-smart, pithy, and infused with rhythm and cell-phone radiation’. The show recently teased fans with a new trailer – with an alternative ending – which was a brilliant parody of Die Hard. Of course, since it’s a parody, the trailer gives us no clues about whether Holt got the NYPD commissioner job following the cliffhanger at the end of season five. Nor does it tell us where season six will kick-off. The fifth season’s finale saw the group toasting Jake and Amy after their wedding when suddenly Captain Holt receives an email telling him whether he got the position. In the post-Christmas lull, the return of the nine-nine has certainly made January a little brighter!